Figure 14. Detailed drawing from 1849 OS Map : 1 yard to the mile. Note Chief Constable's office front right with Police Office and Chief Superintendent's office behind. 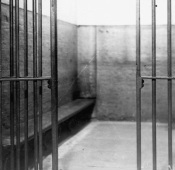 The cells were down the steps in the basement. June 21st 1839 Contract with the waterworks Co for supplying water – Offices King Street £2. 2. 0. 2nd Dec 1839 Water Works Co expense recorded*. Jan 6th 1840 Sir Charles Shaw declines the Borough Office on King Street and the key is returned to agents but retains lock-up and police office. 1841 Slater’s Police Station. Wm Martin. Superintendent. Borough Police Office. Commissioner Sir Charles Shaw : Knight. Officers of the Boroughreeve Constables of Manchester. Officers appointed for the Court Leet of Manchester. Sept 27th 1842 Take over by WC listed as A Div and Force HQ. Aug 22nd 1844 Cells under the Town Hall infested with vermin and require repairs. July 7th 1847 C.C. Reports the poor state of the cells and offices due to bad ventilation and repairs required as Constables now giving up their situations and remainder complain of poor health as a consequence. Copied to the General Purpose Committee of the Council to decide best course for the future. April 26th 1849 To knock down an interior wall btw charge office and lobby to improve light and ventilation. Dec 9th 1858 Sec of State certification of force as efficient but cells in the Town Hall damp and poor ventilation and only lit by gas. 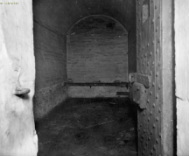 June 22nd 1860 Complaint from the jury of the Court of Record that a man held for a misdemeanour was kept overnight in cells heated by steam with uncovered convenience that were unfit for human habitation and placed with felons and thieves. Improper that a man held only on suspicion should be held with known characters. 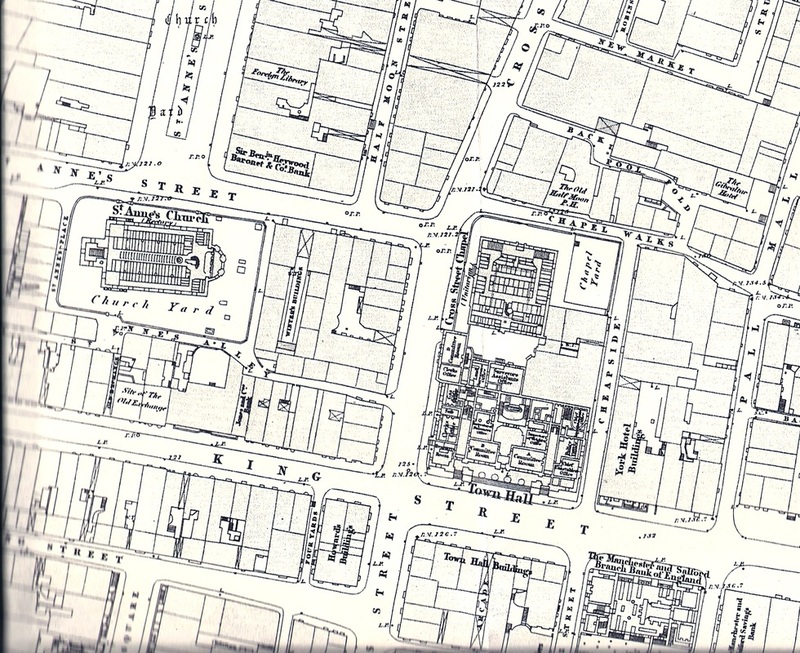 Feb 20th 1862 Removal of offices form ‘Cross Street’ to Albert Street in Aug 1860 left 3 PCs minding the warehouse and premises key boxes which earns £681 p.a. This process continues throughout the century. 25th July 1893 Mention of the remaining existence of the Keys Office in the basement of the now Public Library. This process is returning some £1,600 pa on £1pa per key deposited. 2012 Building now demolished, main façade now in Heaton Park as seen in 1916 below.